Jessica Nelson is someone I really look up to. Sure, she’s tall and I’m not, but that’s not what I mean. Jessie is fun, friendly, and generous. Visit her blog, Booking It, and you’ll see what I mean. I learn lots from her—and she makes me smile at the same time. Jessie’s debut novel, Love on the Range, is a Love Inspired Historical romance, and it’s on shelves now. This engaging tale of a rancher and reporter at odds received 4 ½ stars from RT Book Reviews! Jessie, in keeping with her romantic inclinations, married just two days after she graduated from high school. She believes romance happens every day, and thinks the greatest, most intense romance comes from a God who woos people to himself with passionate tenderness. When Jessie isn’t chasing her three beautiful, wild little boys around the living room, she can be found staring into space as she plots her next story. Or she might be daydreaming about a raspberry mocha from Starbucks. Or thinking about what kind of chocolate she should have for dinner that night. She could be thinking of any number of things, really. One thing is for certain: she is blessed with a wonderful family and a lovely life. Chocolate? Yes! If you were forced to choose which form of chocolate is your absolute favorite, what would you say? When Jill Kemerer interviewed you last October, you said cooking isn’t your forte. I can relate, since I rank preparing meals up there with paying taxes. I love eating out and suspect you might, too. When you head to a restaurant with your kiddos in tow, which place do you go? When it’s just you and your hubby, what’s your pick? Mmm, well, there’s a Mexican restaurant in my town that we all adore. Don Pepe’s! Yum. We’ll go to the same restaurants with or without the kiddos. And yet here you are with a historical romance on the shelves, proving the Lord has a sense of humor and that our paths can go in unexpected directions. What’s another time God surprised you by changing your plans and bringing about way cool results? That’s so funny! But you know, Love On The Range is still my only historical. LOL Although I am slogging through a historical WIP. Great question about God. I don’t know if I have an answer because I don’t really like to make plans… I know He surprises me all the time with good things though. I’m really thankful for everything He’s done and even more, the awesome people he’s put in my life. You all are blessings! In that interview you also talked about your preference for Alpha heroes, so it comes as no surprise that you’re married to one. Your adventurous, live-life-with-gusto Extreme Fisherman fellow has taken you on some amazing trips. Which one stands out, and why? Heehee! Costa Rica!! I love to speak Spanish and the Ticos are so friendly. They help me jabber away and are just cool people in general. If we were to ride shotgun with you as you drive to the place you go most often, where would that be and what would we learn about you on the way? And do you blast it, or do you prefer it as background noise? To learn even more about Jessie, connect with her on Facebook, Twitter, and Goodreads. Rancher Trevor Cruz can’t believe his secret identity is being endangered by an overly chatty city girl. But if there’s one thing he knows, it’s that Gracie’s pretty little snooping nose is bound to get her in trouble. So he’ll use her determination to find “Striker” to keep an eye on her and stick close by her side. Jessie has generously offered to give away an autographed copy of Love on the Range. I’ll select the winner on Wednesday, April 11 and post the name here and in a comment. Congratulations to the winner of Jessie’s book: Wendy Paine Miller. 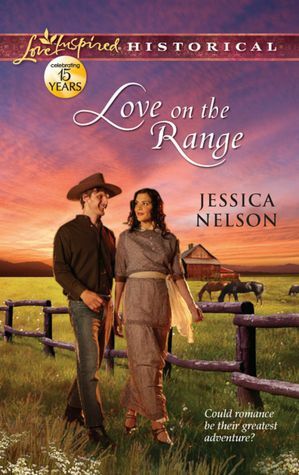 This entry was posted in Guests, Reading and tagged Jessica Nelson, Keli Gwyn, Love on the Range. Bookmark the permalink. As for music, I like it blared if listening to music is all I’m doing, otherwise I need it in the background. Loved your book Jessica and I can’t wait to read more of your stories! Fun interview! I usually write in silence before my family wakes up. Such a fun interview, Jessica! Can’t wait to read your book! Thanks Katie! Do you normally like historical romances? I’m delighted to have Jessie as my guest. She’s gotta do the day job thing, but she’ll be stopping by later to read your comments. I forgot to answer your question, Jessie. I listen to classical music when I write. It takes me back in time. Vivaldi is my favorite composer. According to iTunes, I’ve listened to his Four Seasons over 1,000 times. That number doesn’t even include the many times I’ve played the piece while driving. I’m hopelessly addicted to it. Thank you so much for having me, Keli. 🙂 Very kind of you!! And WOW on the Vivaldi. Seriously, I could eat Mexican food for every single meal. Yep, even breakfast! And as for music, I love acoustic. Love going to restaurants where they play outside. Ah, ambiance. Mmmmmm, me too on both counts! I agree with Sherrinda, I love that you said no more historicals and that’s what you published! I love music and changes between select country and Christian pop. And loud? Depends on what mood I’m in! If I’m in the car, most likely it’s loud. And if I’m writing, just in the background. Cool. Good to know about you. Thanks so much for commenting! I love these interviews, Keli. 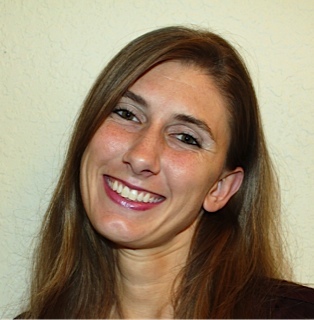 Jessica, always great to see you on the blogosphere, and your book sounds like a lot of fun. Congrats on the 4.5 stars!!! Every one deserved, I’m certain! I’m so proud of you, Jessica, and your debut novel, Love on the Range! What a great honor to receive 4 1/2 stars on the romance reviews!!!! How cool that your hubby’s an Extreme Fisherman. Have you posted any pics of extreme catches? Brandi, so true. I’m taking the truffles out right now. *grin* No, I haven’t posted any pics. I guess I should. lol He puts them on his page all the time! So exciting to see you here, Jessica! I love Mexican food, too, yum! Wish I could eat it more often 🙂 As for the question, yes, I LOVE music. I like it loud when I’m cleaning or driving and quiet when I’m working on plotting or a story. I truly do listen to all kinds, though I’m a big fan of alternative. Your cover is beautiful, by the way! I’m a fan of different kinds of music too. We should all go eat Mexican at the next conference we’re at!! Thank you about the cover. I LOVE the colors. Great interview and the book sounds fabulous! I am always impressed when writers with small children are able to produce books. I had to wait until mine were grown up before I could concentrate on writing. I would love to win a copy of Love on The Range (email: darlene dot foster at telus dot net) I like to listen to classic rock & roll and i like to play it LOUD. Loud is better, right? 🙂 I actually wrote this during their naptime. I can’t write very well when they’re running around either. My favorite music is Andre Rieu and the Johan Straus Orchestra. Andre’s violin playing inspired my hero in my first story to be released in August. Oooh, interesting music!!! I LOVE violins. Nice to meet you too, Paisley. What a cool first name you have! Fun post, Keli and Jessica! I’m starting Jess’s book this weekend. Can’t wait! I listen to all types of music. I love instrumental music when writing. wonderful interview! makes me miss you, jessica! my fav music right now is anything without lyrics that’s soft and melodious. i do a lot of reading/writing in my job and i love having that playing from my iphone in the background. it’s so relaxing. Hey Jeannie! Miss you too. Maybe next conference we can hang out more. How nice that you can play music on your phone! This book sounds wonderful. Thanks for the great interview. Thanks Jane. *blush* Keli is a fab interviewer!! What a fun interview, Keli. i always enjoy getting to know authors better at your blog. And I’m looking forward to reading Jessie’s book — as a matter of fact, I preordered it. Chocolate & Raspberry! Can there be a better combination?! I’m a classic 60’s & 70’s rocker at heart, but due to lyrics content, I don’t listen to much of it anymore, except Barry Manilow & Diana Ross, and I love a good Whitney song 🙂 I’ve discovered I really like some of my teen sons’ Alternative Christian Rock/Punk music, and I like it L.O.U.D.- LOUD! TFK and Skillet are my favorite groups. If I want background music, I listen to Pachelbel, Bach, Mozart or Vivaldi. I missed the giveaway, which bums me out, but I LOVE music. I recently discovered Spotify and can’t get enough. I always have music going – it’s the only way I can work. My tastes vary wildly from current bands to oldies to country to Jewish music. My apologies for being a day late with the drawing for an autographed copy of Jessie’s book. I’ve been dealing with some challenging family issues that have left me a bit overwhelmed, and I forgot to pick a winner. I popped the number of comments into random.org and generated a number. The first three times, Jessie’s name came up, but I persevered. The fourth and final name is Wendy Paine Miller. Congratulations, Wendy! I’ll be in touch.